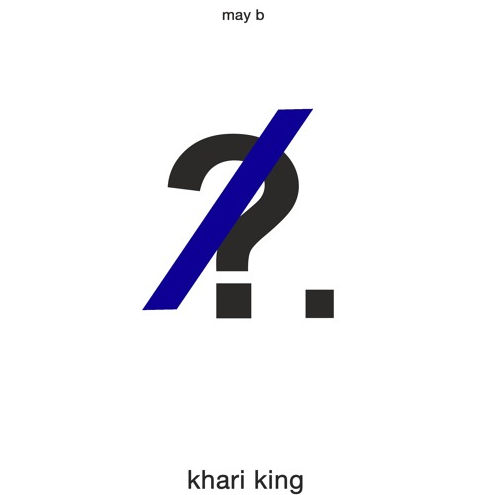 Got some new music for you all from R&B singer Khari King called "may b!" Khari did everything on the song himself from the lyrics to production and even mixing and mastering, showing that he is a jack of all trades when it comes to creating music. The R&B ballad is definitely a relatable track "I just wanted to make a track that really highlighted how good intentions can lead to unfavorable outcomes in a relationship sometimes, but, despite those outcomes, there's always a chance to salvage something from a relationship," Khari said of the track. The single is the precursor to Khari's upcoming EP which will be released in October! "It's going to be a four track project with production from myself and other really good friends of mine," the singer revealed. "I love to collaborate with other artists, especially ones close to me from Atlanta who understand the vibe and artistry I want to portray." Can't wait to hear the EP in full, but, for now, check out "may b" below!